The fastest growing sectors today are the banking and insurance sector. Huge market opportunities in this industry have attracted many private companies, bringing in tough competition. However, effective and efficient HR services can make it possible for any company to function smoothly as well as have an edge over its competitors. Therefore, there lies a constant need for the HR of insurance industry to respond to the external and internal pressures and build suitable strategies for effective management. 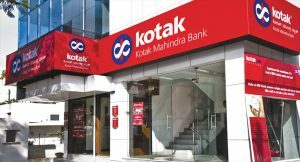 Kotak life Insurance, one of the fastest growing insurance companies in India, has been providing a diverse range of products, catering to myriad insurable needs of its clients across different customer segments. A joint venture between Kotak Mahindra Bank Ltd., its affiliates and Old Mutual PLC since 2001, the company today covers over 15 million lives. Kotak Life Insurance’s product suite leverages the combined prowess of protection and long-term savings. Given the fact that insurance penetration in the country stands at only 4.5 per cent, covering only 12 per cent of the population, the company is seeing a phenomenal growth prospect in the future. Building up a suitable model and strong HR base, the company wanted to increase productivity to levels that were not seen in Indian insurance industry till date. It begun by exploring two major alternatives- increasing the manpower to improve channel productivity and redefining the role of DM (Divisional Managers) to include multiple avenues for revenue generation and support the transition in role with the help of learning and development intervention. The first alternative was likely to have an adverse impact on costs and there were debates surrounding the second alternative, if it would bring about a change of the desired magnitude. However, setting the strategies right, the L&D team worked out the right approach. It was a blended learning solution with mix of coaching, classroom, simulation, and action based learning. Classroom interventions were planned on a quarterly basis. The intervention was spread out over 18 months with structured input every quarter. The DMs at Kotak Life Insurance were made responsible for leading all strategic initiative that impact business outcome at branch level. Each branch was treated as profit centre. The DM managed execution of tasks efficiently by looking at 1 or 2 business drivers. The management felt that further increases in productivity could be achieved if DM’s role was expanded to include multiple business drivers. Focusing on long term planning would require insights of multiple aspects like seasonality, timing, priority, products, mind-sets, available talent, role gaps, competency gaps, reducing on-boarding curve and arresting attrition. The primary objective of the intervention was to enable the DM to apply learning gained to real life situations to create a significant business impact. The company decided to use a mix of internal and external trainers, based on the objectives of each module. Even though the costs were high, they decided to apply the blended learning approach, as this was not restricted to a few classroom interventions, but was a comprehensive 18 month program supported by dedicated coaching. This mechanism also facilitated timely and regular feedback. It ensured continuous monitoring, as a critical part of the program. As a result of this critical human resource policy, the company gained strong grounds and momentum. A 360 degree assessment became a possibility with involvement of all the stakeholders in the process to ensure joint responsibility for achieving productivity. The sakeholder involvement also ensured that design of the blended learning approach was robust, practical and met needs of the channel. The use of multiple methodologies ensured holistic learning and greater retention. Apart from that, the critical finance parameters also witnessed an improvement post implementation with a 10 per cent rise in the RDM productivity, over the previous year.